Mark your calendars for a tail-wagging event this summer! 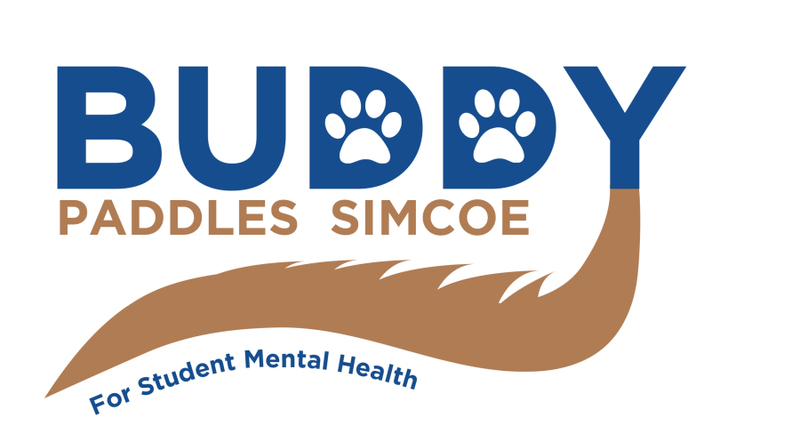 On July 13th, 2019, Participating paddlers will cross Lake Simcoe in a “Buddy System”, with no paddlers left behind. The event is intended to build a spirit of camaraderie amongst participants while keeping the cause forefront in participants’ minds. The event is an approximately 30 km crossing of Lake Simcoe starting at a location on the northwest shore across the mouth of Kempenfelt Bay and ending at Leornard’s Beach in Innisfil. This event is for all levels of experience. There are options to join the group at approximately 10km, 5 km, and 2 km points to the finish line. STAY TUNED FOR MORE FUR-MATION COMING SOON! Buddy Paddles Simcoe started as a celebration to honour one of our first COPE Service Dogs Buddy , who became a Canines In the Classroom Dog. Buddy has made a significant difference in many youths lives over his career in the CIC program. His calming effect with his students, helped them to gain confidence, learn communication skills and manage their emotions. Buddy gave his students a new direction and made education fun! Buddy is now a fetching13 years old and has retired from his career. 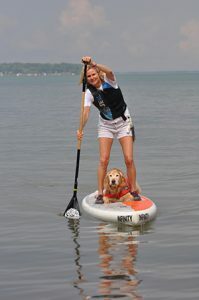 In 2018 and to celebrate this milestone, COPE Founder Jane Boake and Buddy rode a paddleboard around Lake Simcoe making many stops along the way to bring awareness to COPE. 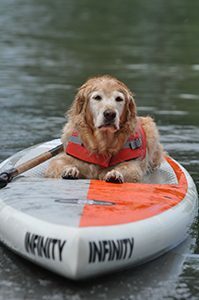 This event was such a great success and truly loved by everyone who met Buddy, that it has become an annual event for all SUP’rs. 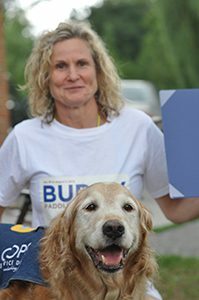 A big round of ap-paws for Buddy! Copyright 2016 - COPE Service Dogs.